Totally engrossing and heart wrenching, this book is the perfect blend of page-turning mystery and thought-provoking literature. When a man’s wife goes missing, leaving a doppelganger in her place, he searches high and low to unravel the mystery – from the farthest reaches of Pategonia to just down the street at Hungarian Pastry Shop. Rivka Galchen received her MD from the Mount Sinai School of Medicine, having spent a year in South America working on public health issues. Galchen completed her MFA at Columbia University, where she was a Robert Bingham Fellow. Her essay on the Many Worlds Interpretation of quantum mechanics was published in The Believer, and she is the recipient of a 2006 Rona Jaffe Foundation Writers’ Award. Galchen lives in New York City. 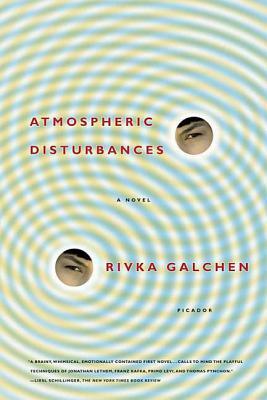 She is the author of the novel Atmospheric Disturbances.